As well as fundraising and providing assistance to those less fortunate in the community, club members also enjoy fun, fellowship and a varied social programme. 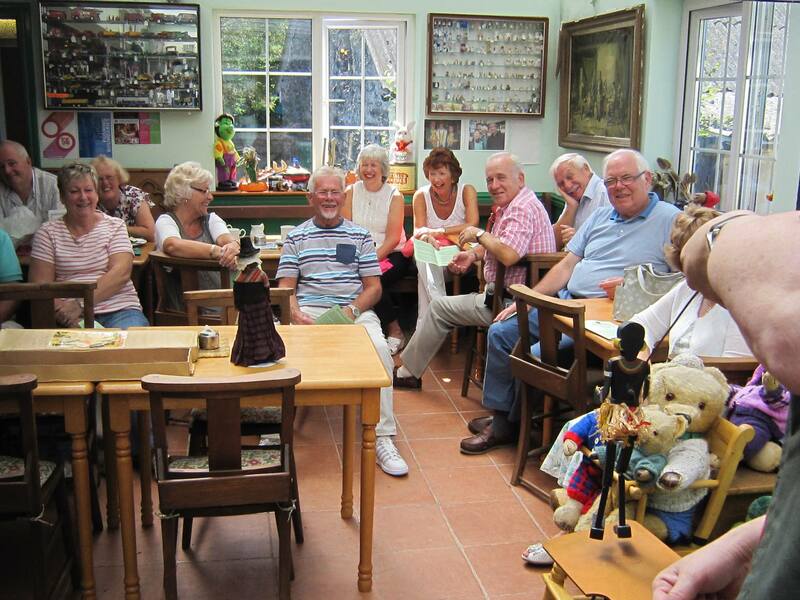 Each month club members meet for a dinner meeting at which there may be a speaker, a quiz or other entertainment. Once a quarter member's partners are also invited for a mixed social evening. Other events have comprised Race Nights, cabaret evenings, visits to a vineyard, a murder mystery night, brewery trips, treasure hunts, theatre trips and dances. We have also had a guided tour of the Senedd (the Welsh Assembly). The Rt Hon Carwyn Jones, First Minister of the Welsh Assembly, popped in to introduce himself and to explain some of the workings of the devolved Welsh Government. 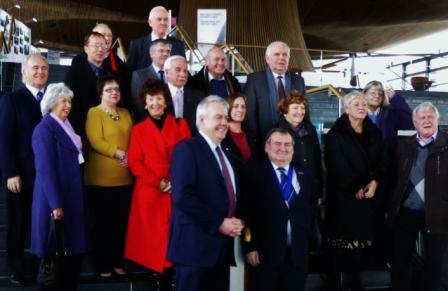 The high tech modern public gallery gave us the the opportunity to observe the Assembly in one of their formal sessions, after which, the party adjourned, as is usual, to the local Wetherspoon’s for a well-earned lunch. 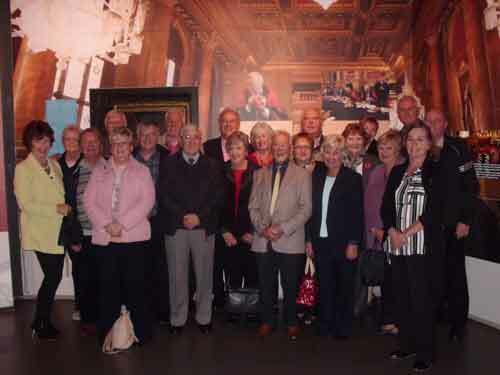 We are twinned with Vimoutiers Lions Club in Normandy, France and in even numbered years members travel to stay for a few days with the French Lions and in odd numbered years we host them. We have an indoor sports challenge night against Bridgend Deaf Club - for a report and photographs click here. In May we hold an annual Charter night which celebrates the formation of the club. This is a formal occasion at which local Civic dignitaries are invited as well as being attended by many other clubs in the Lions District. Members may also, and frequently do, attend Charter nights of other Lions Clubs. Club members also have the opportunity to attend zone meetings where they meet with members of other local Lions Clubs. Every March there is a Convention of clubs within District 105W where members meet to discuss the business of the District and attend social functions, usually comprising of an informal fancy dress night on Friday and a formal Banquet and Ball on the Saturday. In March 2000 the event was hosted by the Lions Club of Bridgend. Each May the Lions of MD105 comprising Great Britain and Ireland meet at a Convention similar to the District Convention but on a larger scale.